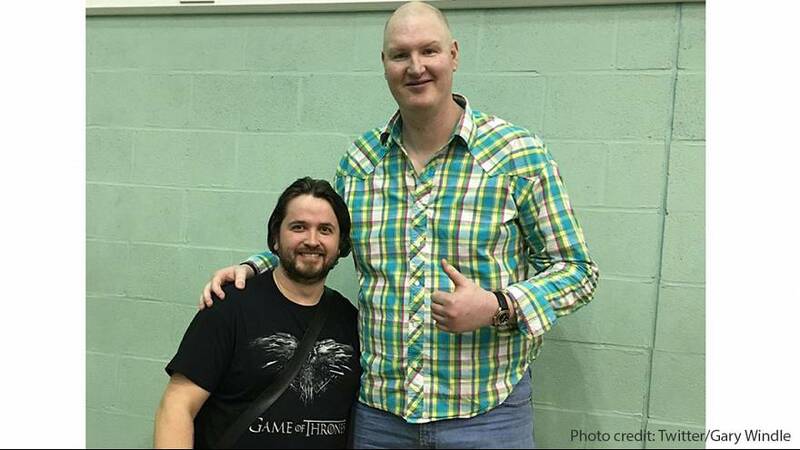 Neil Fingleton, an actor, former professional basketball player and title-holder of ‘UK’s tallest man’ has died, reportedly of heart failure, at age 36. Fingleton was best known for his role on the popular series Game of Thrones as the giant ‘Mag the Mighty’. He also garnered acclaim for his role as ‘The Fisher King’ on the BBC’s Doctor Who, in addition to appearances in the feature films X-Men: First Class, Jupiter Ascending and 47 Ronin. Fans, teammates and actors have flooded social media with tributes since his death was announced over the weekend. Fingleton was born in Durham, England. After moving to the United States at age 16 to play basketball, he appeared in the McDonald’s All-American game as one of the top high school players in the country before earning a scholarship to college basketball powerhouse, North Carolina. He went on to play professionally in China, England, Greece, Italy and Spain before retiring due to injuries. Standing at 2.33 metres tall, the Guinness Book of Records affirmed his status as the UK’s tallest man in 2007, a title previously held by fellow actor and former basketball player, Chris Greener. Not only did Fingleton enjoy careers in both basketball and acting, he also started a clothing and shoe line catering to men taller than 1.93 metres.